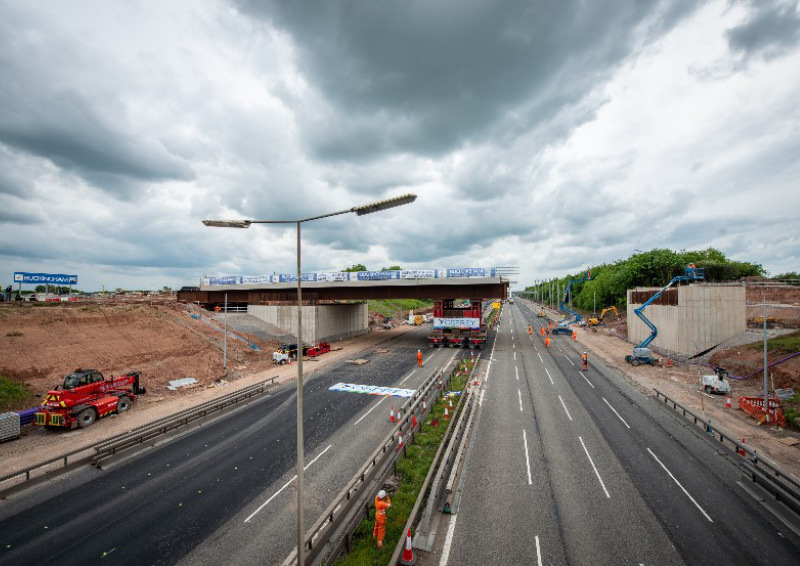 The A6 Kegworth Bypass is a new single two-lane road running from a new roundabout on the A6 just south of Kegworth village and crossing the M1 to reach the A453 at what is presently the junction of Ashby Road. This junction has been significantly rebuilt to provide a new access road to the East Midlands Gateway development. Over the weekend of the 12/13 May 2018 the M1 was closed in order to install the new bridge. At our annual joint ICE & IStructE meeting we have engaged two speakers who were involved with this scheme. Adam Smith of Buckingham Group, the main contractor, and James Parson of Cass Hayward, the designer of the bridge. The focus of the evening will be to discuss the design, planning and construction of the bridge. Refreshments will be served from 18:00 - 18:30 prior to the start of the talks. To book your place, simply click the 'book now' button below and follow the onscreen instructions. If you're not already an ICE member, you can register to receive updates on our latest events. If you experience any issues, please contact the event administrator: [email protected].